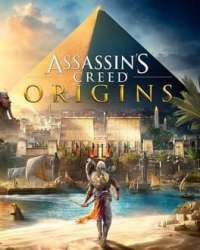 How do you pet a cat in Assassin's Creed Origins? I have found a cat and he follows me around the place. I saw in some gameplay videos before the game released that It is possible to pet cats. How do you do it? I've tried pressing triangle to interact with them when the cat is near me but it doesn't do anything. Do I need to do something else to the cat before I can pet it? At this rate I'll have an arrow in him before I figure it out. If you find a cat, just crouch down nearby and don't press any controls. You will pet a cat as an idle animation when you are not pressing any other buttons.